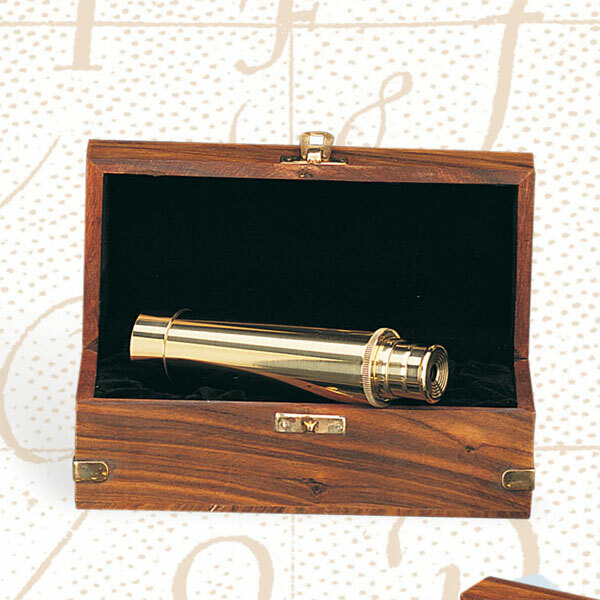 The hand-held telescope (Spyglass) was the most basic of instruments for seaman and officers in the romantic era of tall ships. It extended one's range of vision by several miles. ..You are sailing off the cost of Puerto Rico about 200 clicks south of San Juan. 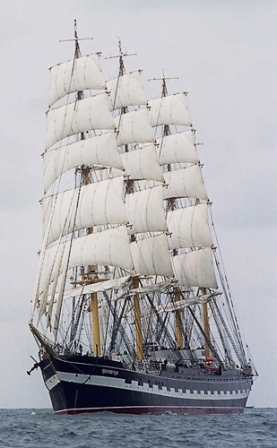 A ship appears just on the horizon off the Port stern. You need to know what colors she is flying and how fast she is coming in and you need to know this long before she gets in gun range. 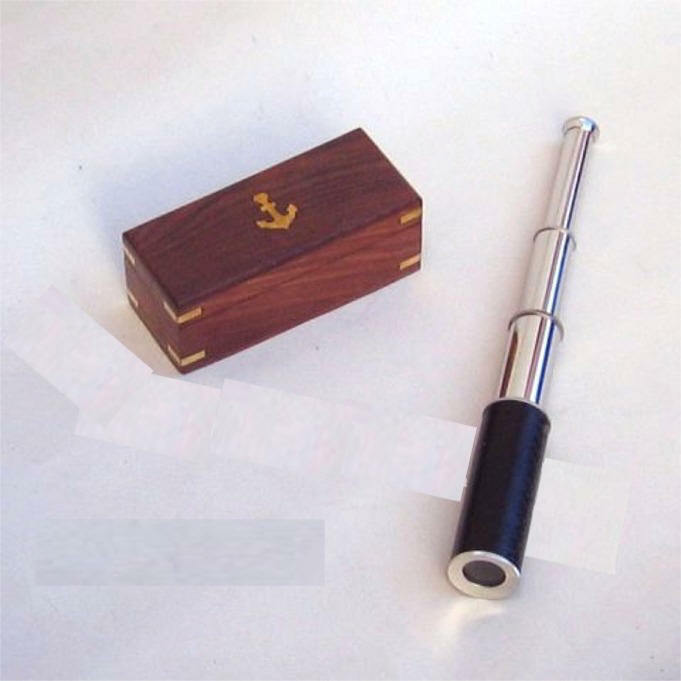 You immediately grab your trusty brass Spyglass and have a look see.. Every seaman needs a spyglass and we have many sizes and models to choose from. We suggest you pick one out and have it in your gear long before you ship out the next time. 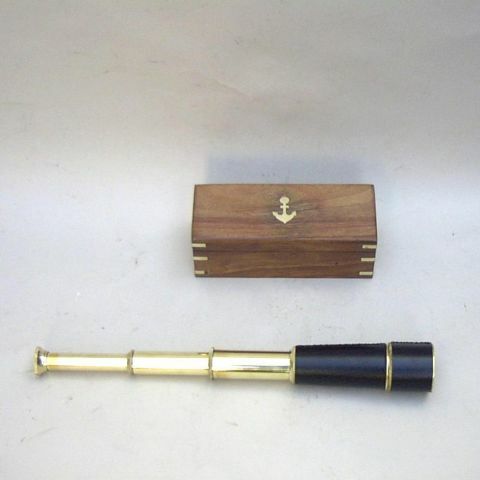 Solid brass spyglass in Mahogany box with nautical in-laid brass. 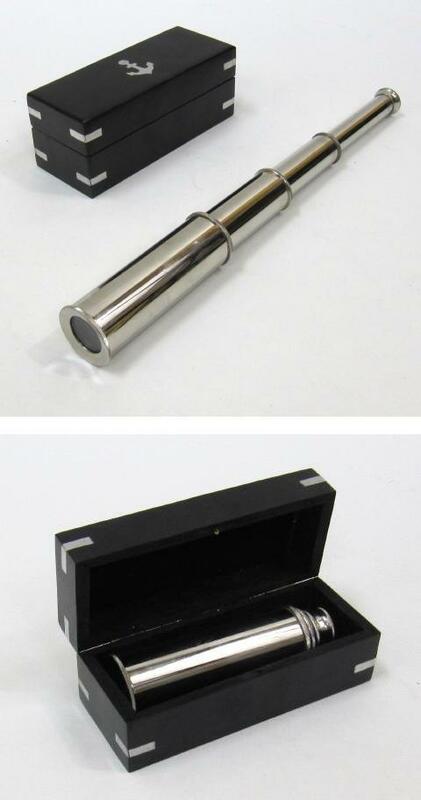 Our most popular telescope. Excellent optics for real viewing. 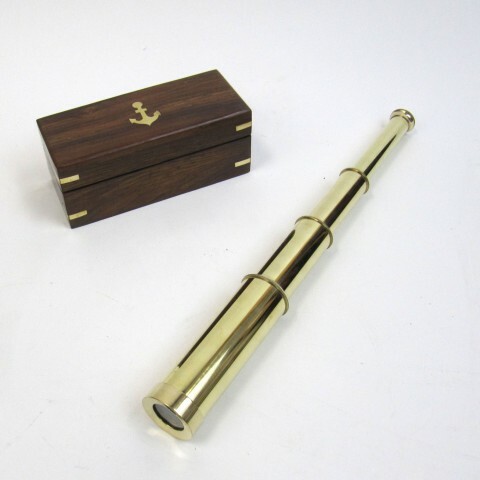 Size: 7" - Ext: 15"
Solid brass spyglass in genuine leather carrying case. Excellent optics for real viewing. 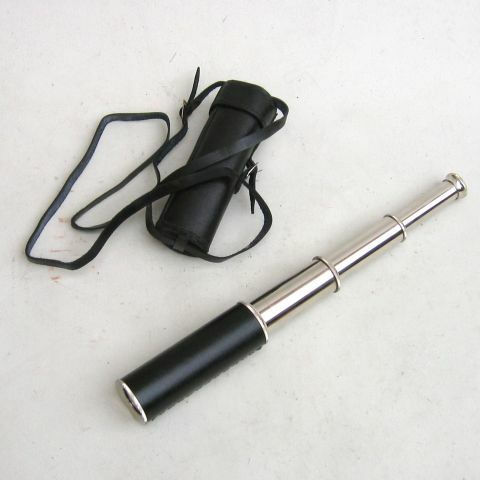 Our most popular telescope in leather. 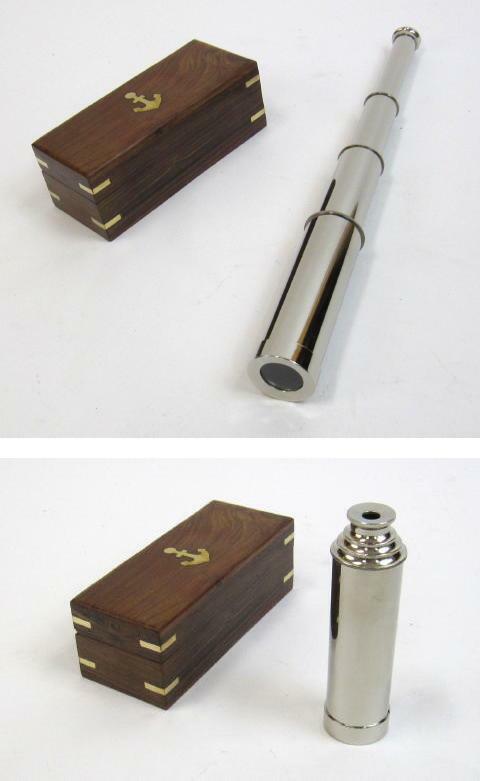 Solid brass chrome plated spyglass in Mahogany box with nautical in-laid brass. Excellent optics for real viewing. 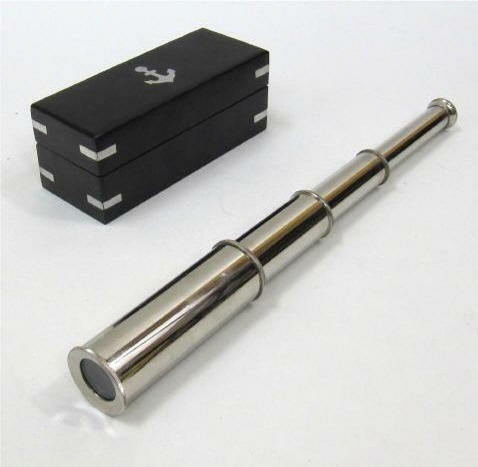 Size: 7" - Ext 15"
Chrome spyglass in real leather carrying case. Same model as BR4852 above. Excellent optics for real viewing. 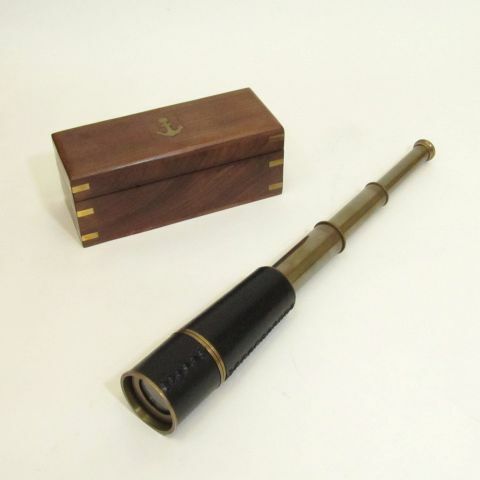 Solid plain brass spyglass telescope in Mahogany box with nautical in-laid brass. Excellent optics for real viewing. 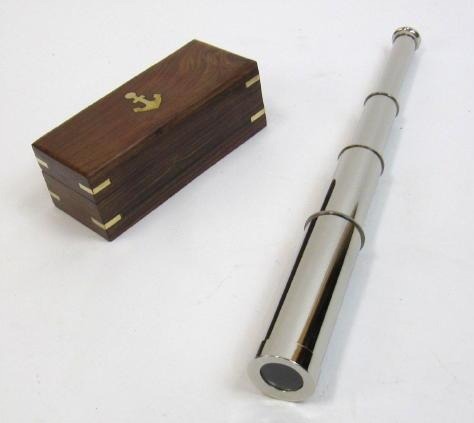 Solid brass chrome plated spyglass in black hardwood box with nautical in-laid pewter trim. Excellent optics for real viewing. 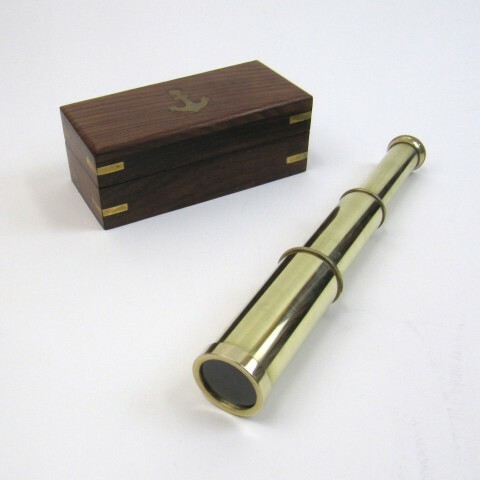 Size: 7"- Ext: 15"
Solid brass smaller size spyglass in mahogany box. Excellent optics for real viewing. 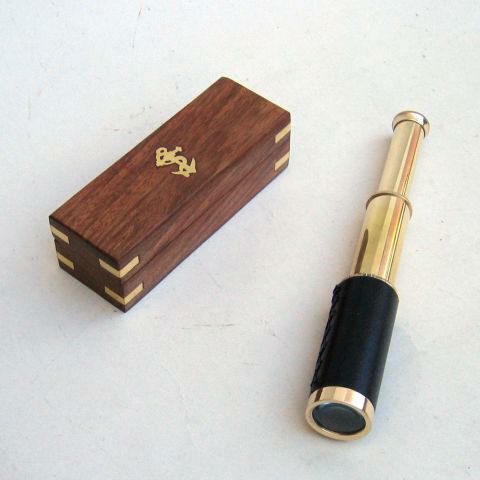 Brass pirate spyglass telescope with leather wrap. Excellent optics for long rage viewing with cowling. Lighter weight fbrass. 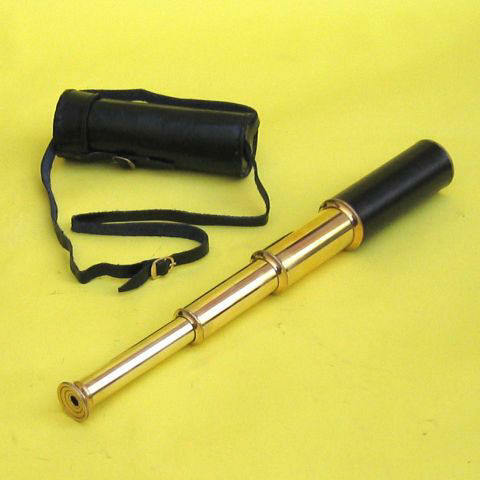 Solid Brass Medium size telescope (spyglass) with hand stitched leather body. 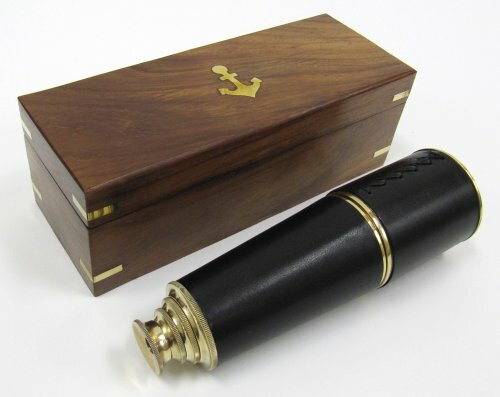 Comes in a felt lined nautical mahogany brass inlaid box. 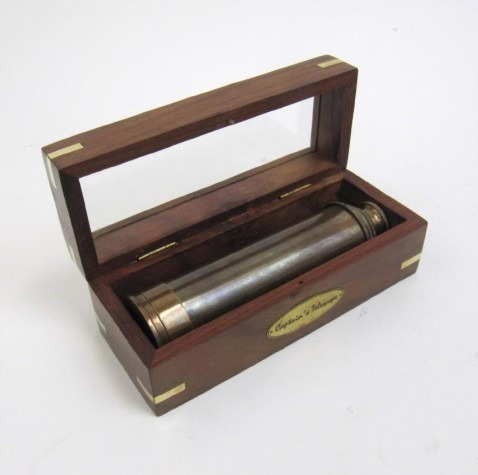 Solid plain brass "Captain's" telescope (spyglass) in brsaa inlaid mahogany box with glass top. 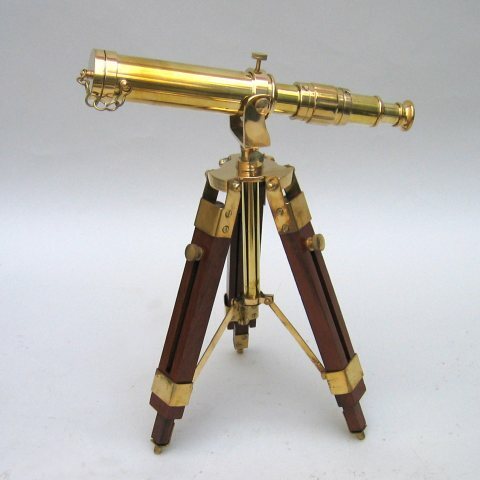 Brass plate says "Captain's Telescope" . Good optics for viewing. 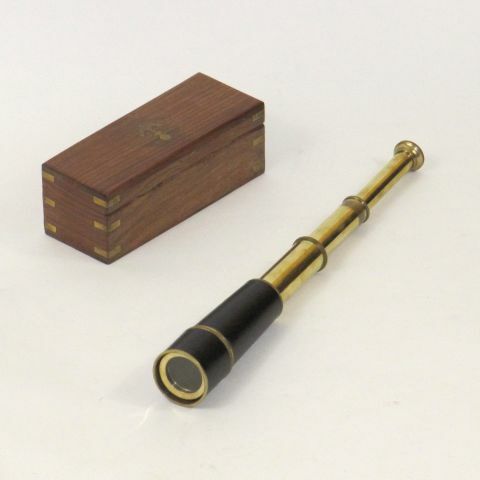 Solid Brass Large telescope (spyglass) with hand stitched leather body. Excellent optics for longer rage viewing. Now in brass inlaid mahogany box. 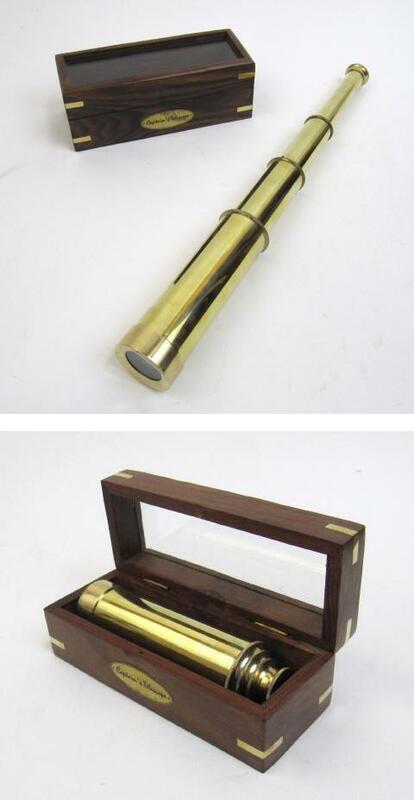 Solid brass presentation quality spyglass in brass trimmed mahogany box. Has real optic lenses and is a great presentation telescope. 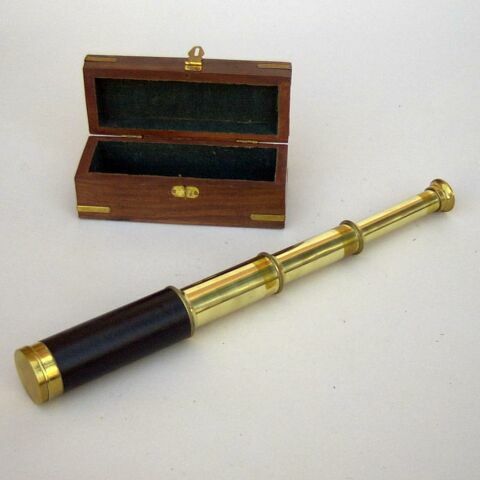 Plain brass small spyglass telescope in mahogany box. Excellent optics for actual viewing. Excellent telescope for children to learn with. 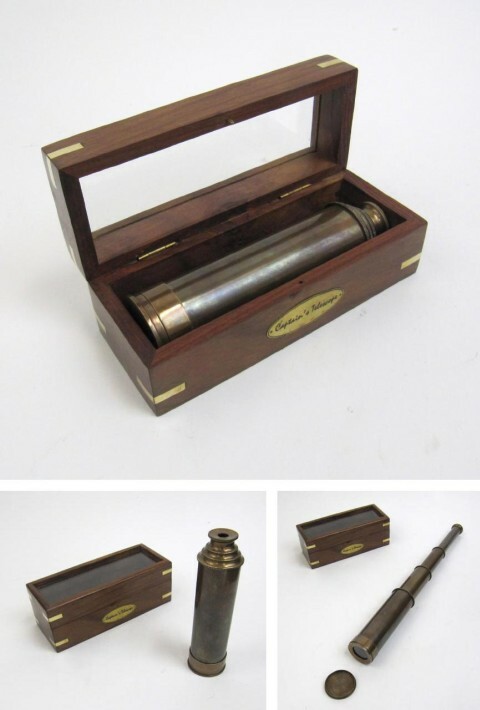 Solid brass antique finish spyglass telescope in Leather Carry Case. 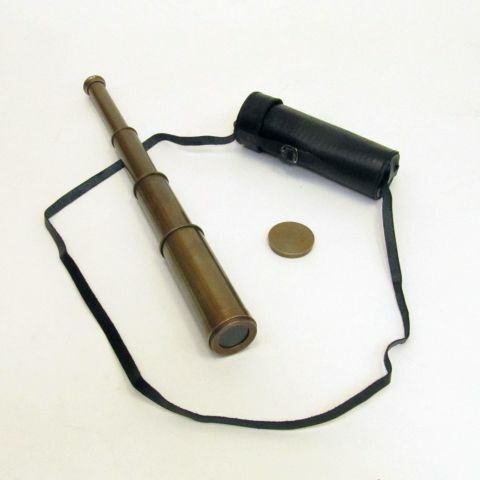 Great spyglass for sailors or explorers. Excellent optics for real viewing. 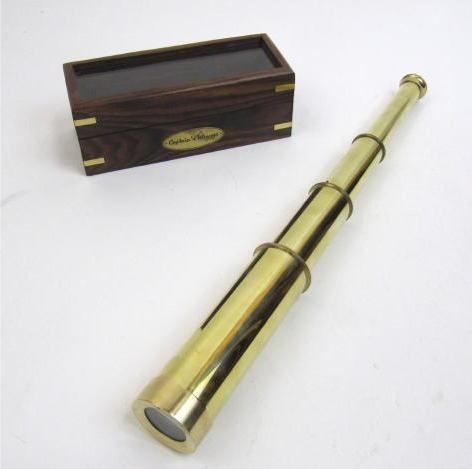 Solid Brass Antique Captain's "Spyglass"
The Captain's solid brass antique finish spyglass telescope in glass top mahogany box with "Captain's Telescope" brass plaque. Excellent optics for viewing. 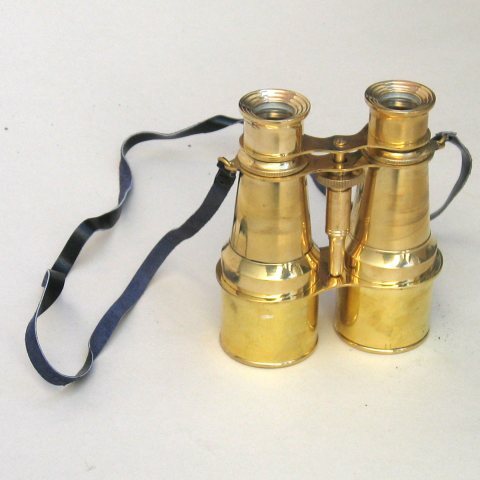 Solid Brass captain's binocular with genuine leather strap. A stunning piece fashioned in the original tradition of a by-gone era.